Deputies responded to the area of Bradbury Road in reference to a male staggering in the roadway. Deputies located the male who was in the process of stealing a lawn mower and had discovered through their investigation that he had already stolen another lawn mower earlier in the morning. The male was arrested and transported to the Meigs County Sheriff’s Office. Deputies were dispatched to the Alligator Jacks flea market in reference to a theft. The suspect had fled the area upon deputy’s arrival. After a search of the area deputies were unable to locate the suspect however he was identified by the store manager and charges are pending at this time. 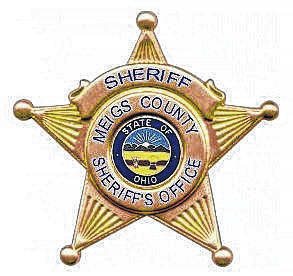 Deputies responded to the Holzer Meigs ER in reference to a mental health patient becoming violent with staff and running away from the ER. Upon the deputy’s arrival, the patient had returned to the ER and was cooperative with law enforcement and staff. No further action was taken at that time. Deputies responded to Lovett Road after dispatch received a call of domestic violence. Deputies arrived on the scene and were informed that the male had fled the residence prior to the deputy’s arrival. Deputies did not see any signs of physical violence on the victim. A report was taken, and the call was cleared. Deputies were dispatched to Children’s Home Road after receiving a call from a homeowner who stated that his residence had been broken into. Deputies arrived on the scene and were provided camera footage of the alleged suspect who they have identified. The investigation is ongoing. Deputies responded to a report of a two-car motor vehicle crash on State Route 143 at New Lima Road. Deputies arrived on scene and made contact with the occupants of the vehicles who were all okay. The Ohio State Highway Patrol responded to the scene and a report was taken. Deputies took a report of credit card fraud and possible identity theft. The investigation is ongoing at this time. Dispatch received a call from a resident of State Route 684, Pomeroy, advising someone has stolen his side-by-side from his barn. Deputy Stacy arrived at the scene and report was completed. Deputy Stacy then went and spoke with the several neighbors in the area to see if anyone had seen anything and also spoke with some subjects that the victim had named as possible suspects. The vehicle has been entered in LEADS and this incident remains under investigation. Dispatch received a call about a male and female, on foot, fighting in the Syracuse area. A deputy was dispatched to the scene. While the deputy was en route, the caller advised that the suspects had been picked up by a car and headed out Roy Jones Road toward Forest Run Road. The Deputy patrolled the area, no one was located. No further action was taken on this call. Dispatch received a call from a female on Jacks Road advising that she thinks someone was trying to get in her back door. Deputy Stacy was dispatched and arrived on the scene. He spoke with the caller and checked the property around the outside on the house. He did find signs that someone had been messing around the back of the house but was unable to locate a suspect. Patrols will be increased in the area. Dispatch received a call stating that two young children were home alone at an address on Mile Hill Road. A deputy was sent to the home and made contact with the mother. Both parents were home and the mother advised she had not left to home all night; the children were fine. No further action was taken on this call. Dispatch received a third party call advising of a possible domestic at a residence on Kingsbury Road. Deputy Stacy arrived along with Middleport PD Officers and secured the scene. A squad was called for an injured female. A report was completed, and the victims identified their son as the suspect in the incident. Joshua M. Lewis, age 28, of Pomeroy was arrested for the alleged domestic assault, at his home across the street for the incident. He was held in the Middleport Jail until appearing in court on the charge. Dispatch received a call from a resident of State Route 124 advising someone had broken into his garage and stole a riding lawn mower and weed eater. Sgt. Mohler arrived on scene and took a report then patrolled the area for a suspect and the property. Later that morning the lawn mower and weed eater was located on Bradbury Road by Sgts. Stewart and Mohler. The victim was called to the location and identified the property as his. He also advised deputies that he had just passed a man riding a mower up the road. Deputy Campbell, who was also on scene, went and located the male. Terry Lambert, age 27, of Langsville was taken into custody when it was discovered that the mower he was on was allegedly stolen from the Bradbury Church of Christ. Lambert was taken to the Sheriff’s Office and questioned. He was later transported to the ER for a medical condition. Charges are pending for the alleged incidents at this time, and the investigation continues. Dispatch received a call of shots fired at a residence on Bowles Road. Sgt. Mohler and Deputy Stacy arrived on scene and spoke with the caller. She advised that a pick-up drove by on the road with several subjects in the back. As it passed they reportedly opened fire damaging several of the vehicles parked on the property. Deputies started their investigation, collecting statements and evidence, and speaking with neighbors in the area. Officer Gilkey and his K-9 Mattis of the Ohio Division of Wildlife were on duty in the county and were contacted for assistance. Officer Gilkey and K-9 Mattis conducted an item search of the crime scene. K-9 Mattis located several items of evidence that would not have been found without his assistance due to nightfall. Deputy Stacy spoke to the property owner by phone. At this time, he is refusing to cooperate with the investigation. A suspect is being developed and the investigation is ongoing at this time. Dispatch received a call from a resident on Mile Hill Road. She called the office and advised her husband destroying their property and currently tearing up the trailer where she lives with a Bull Dozer. She advised she wasn’t threatened, and he really wasn’t hurting anyone, but he was just destroying the place. Deputies were dispatched to the scene, he ran into the wood prior to their arrival. Photos were taken, and a report was completed. She was transported from the scene by Sgt. Mohler to a safe location. The investigation into this incident is ongoing.